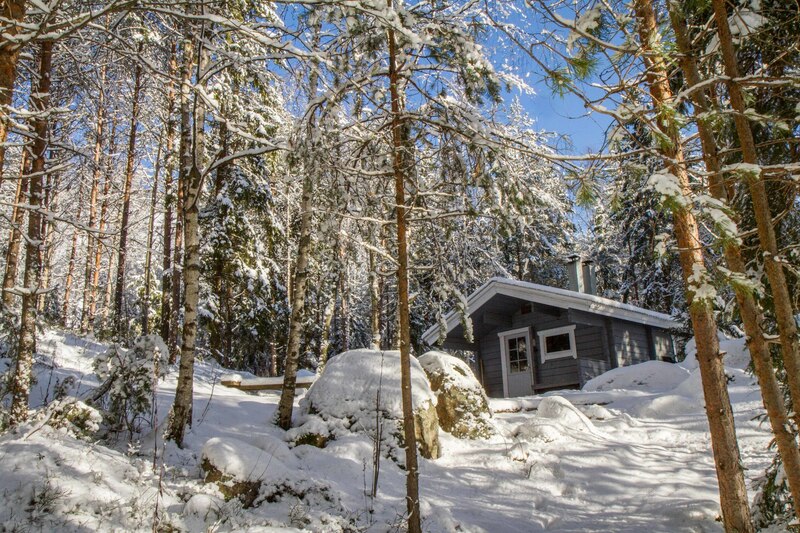 The Kuutinkämppä wilderness cabin was built in 1987 for park visitors. It’s in the middle of Repovesi National Park, at Kuutinlahti lakeshore. You can hike there from Olhava. There is also a landing stage for kayaks and canoes. 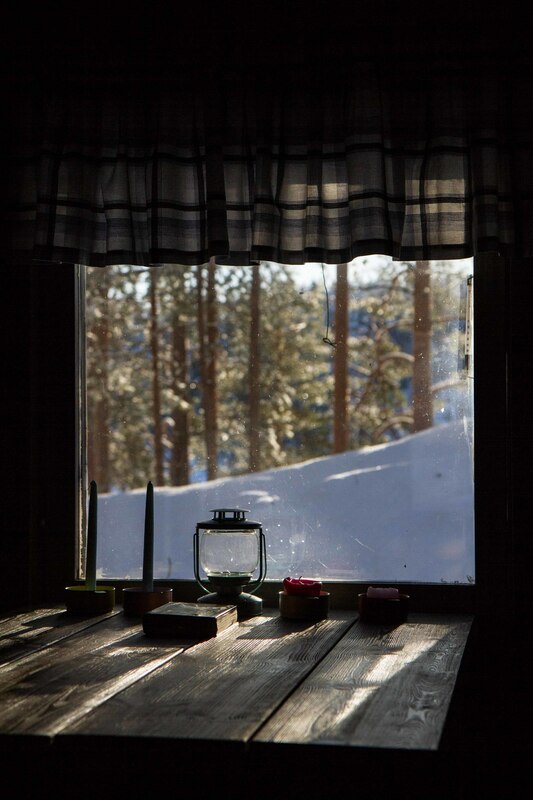 The beautiful scenery, the peace and quiet and accessibility are advantages of Kuutinkämppä, the wilderness cabin at Kuutinlahti. 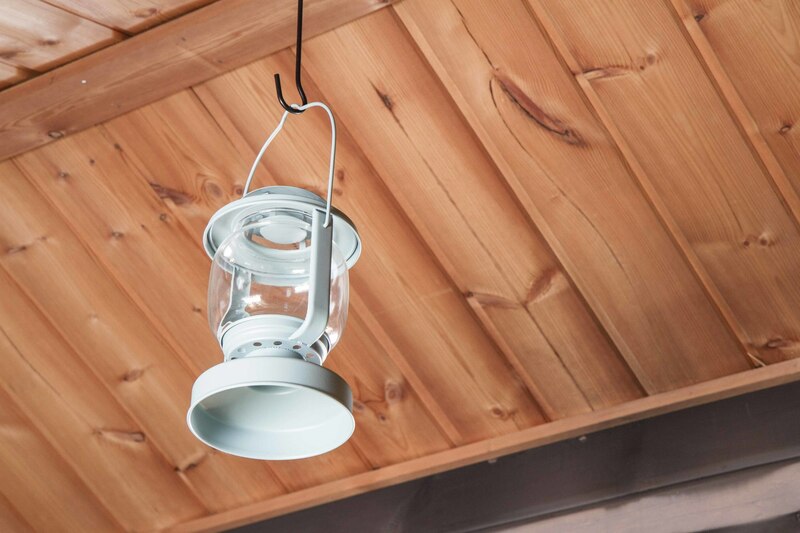 The cabin is perfect for families, hikers, kayakers, climbers and small groups of friends. If you need room for a bigger party, you can extend capacity with the Mustavuori lapp hut owned by Metsähallitus. The lapp hut is a few hundred meters from the Kuutinkämppä. 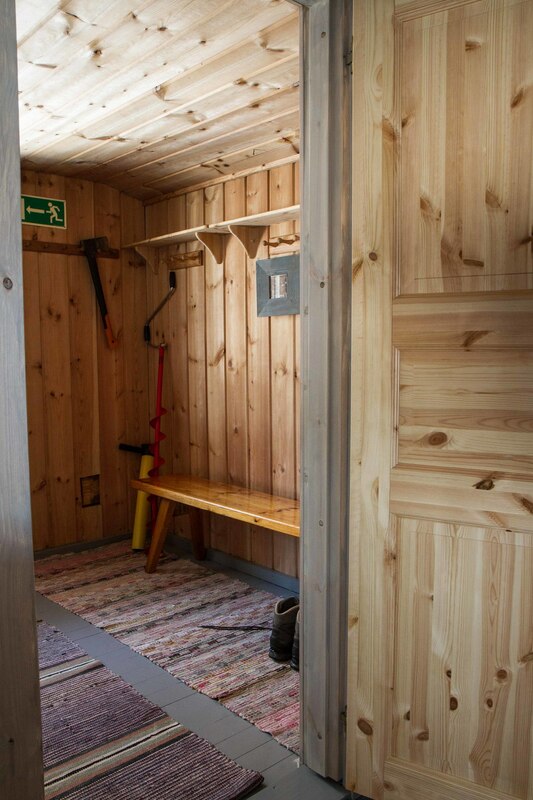 The cabin is divided into three parts: the hall, the sauna and the main room. There is a woodshed and a dry toilet outside. A small hearth works as the heater. The cosy cabin is in a quiet location. 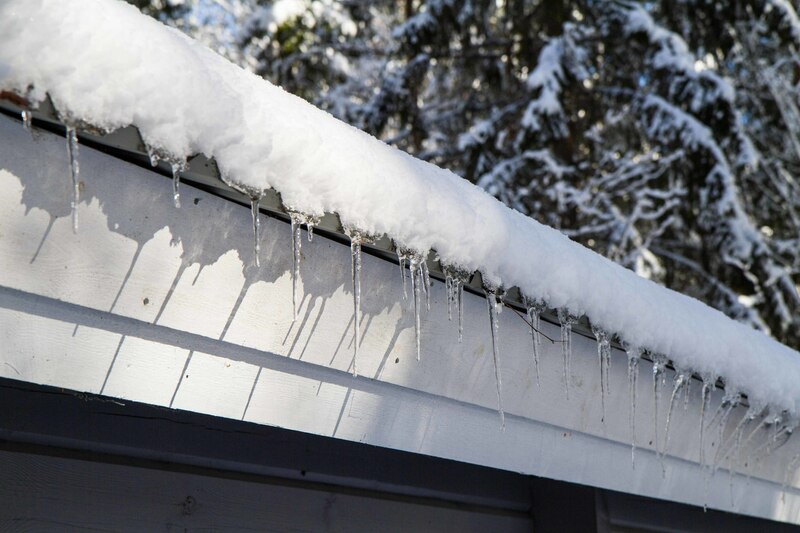 It used to be a cabin free for anyone to spend the night in, and the original rafters remind us of that time. 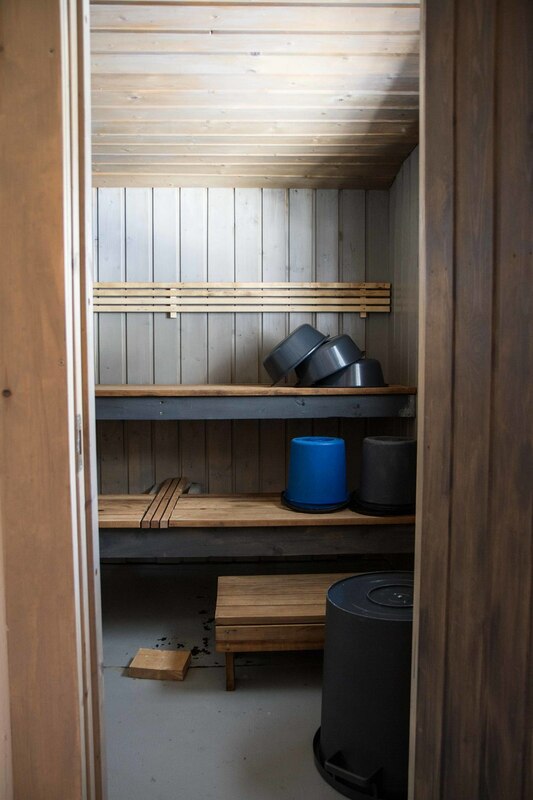 The cabin still takes care of its occupants, who can relax in the sauna after a long day of hiking and enjoy the candlelit evening. 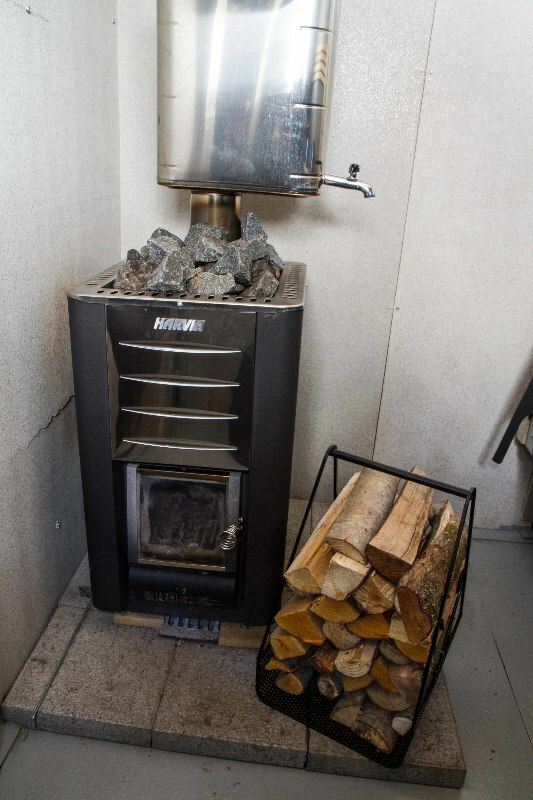 The small hearth keeps the cold outside, making the visitors nice and warm. 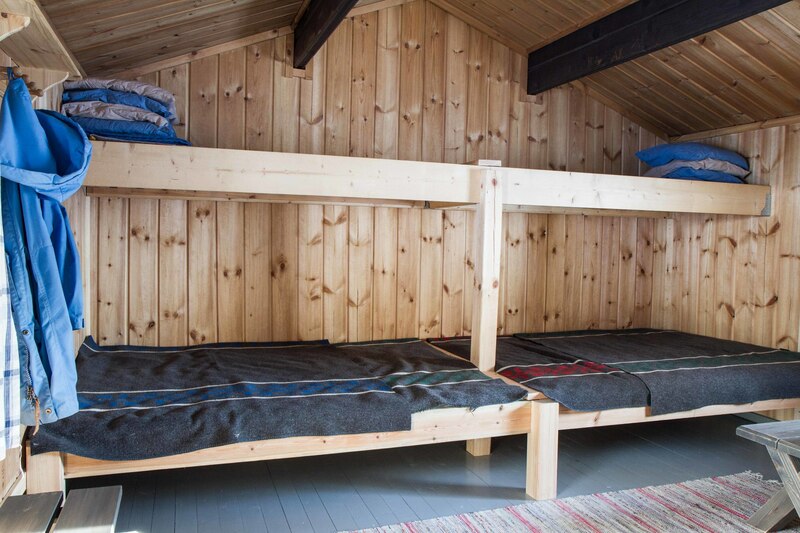 There is a kitchen corner in the main room, a table and bunk beds for 6. Pots, pans and utensils are provided in the kitchen. The cabin can fit 6 people at maximum. Tents are allowed in the yard as long as there are no more than 6 people staying inside. 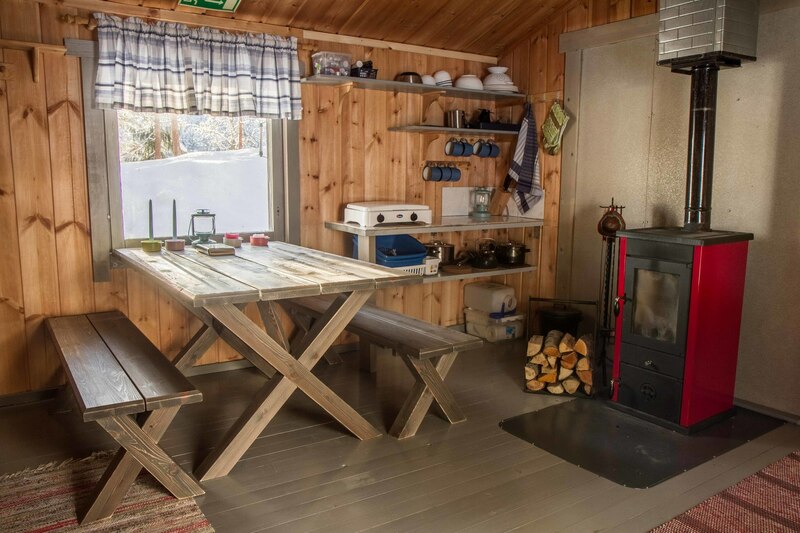 If you need room for a bigger group, you can reserve the Mustavuori lapp hut next door, it can accommodate 5-6 people as well. 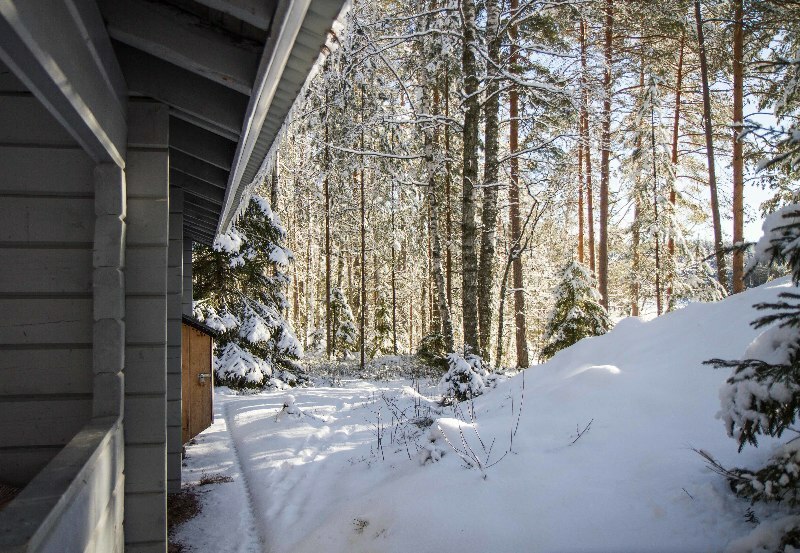 We also recommend the Saarijärvi Forestry Hut for 10-12 or the Pihkapirtti cottage for 8 people. 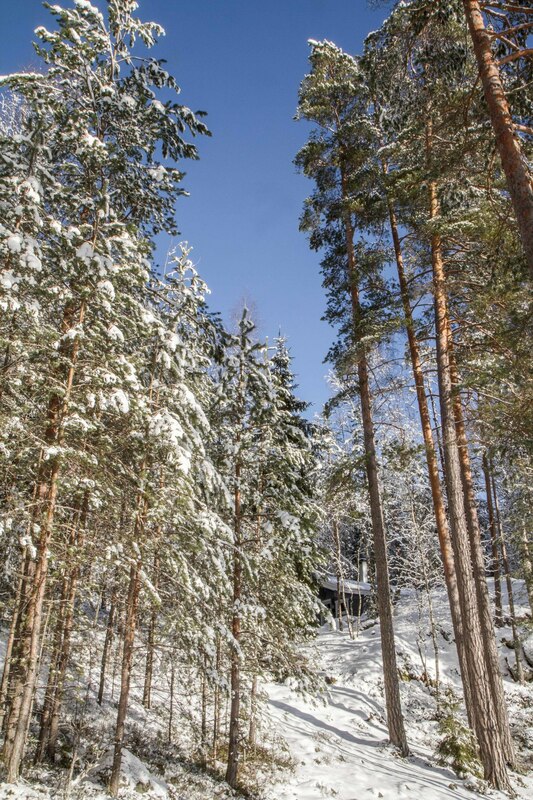 The cabin is 3 km from the entrance of Saarijärvi, next to the Mustalamminvuori hill on the shore of Kuutinlahti. You are not allowed to drive there by a motor vehicle. A water taxi can take you there. 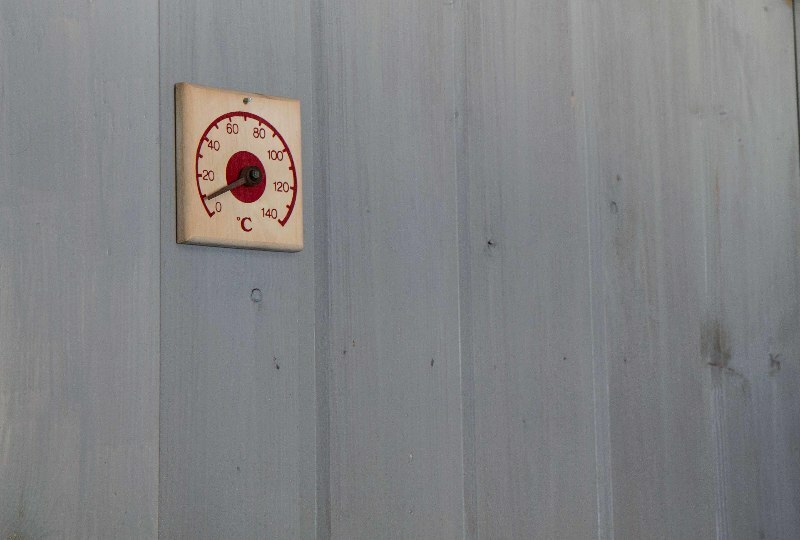 A Sauna, with an attached water heater. Swimming is possible in the lake but be aware of the rough lake bottom. An ice drill and a water pump for a hole in the ice are provided in the winter. There is a landing stage for kayaks and canoes. A dry toilet next to the woodshed. Nearest well for drinking water is at Olhava. Notice! Candles, toilet paper and bed linen are not included. 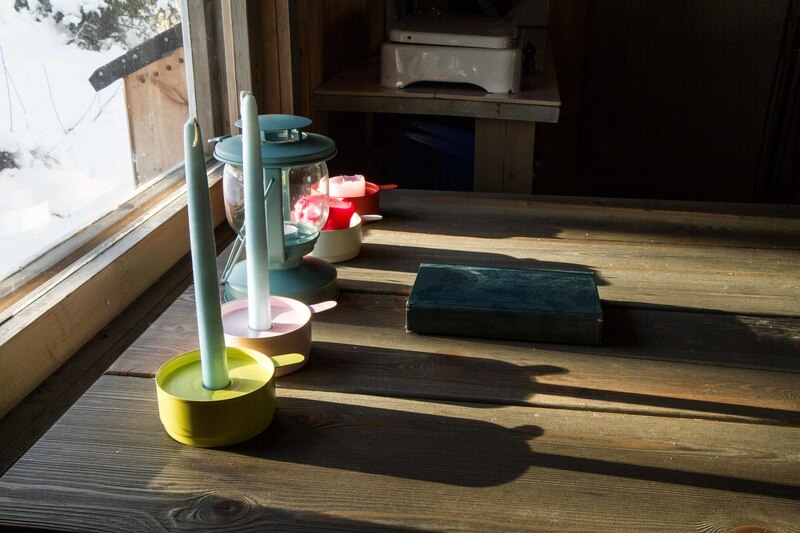 There is no electricity at the cabin. Always remember: matches, toilet paper, a flashlight, candles and a sleepingbag/bed linen. The reservation starts at 13 o’clock, and departure time is at 10.30. 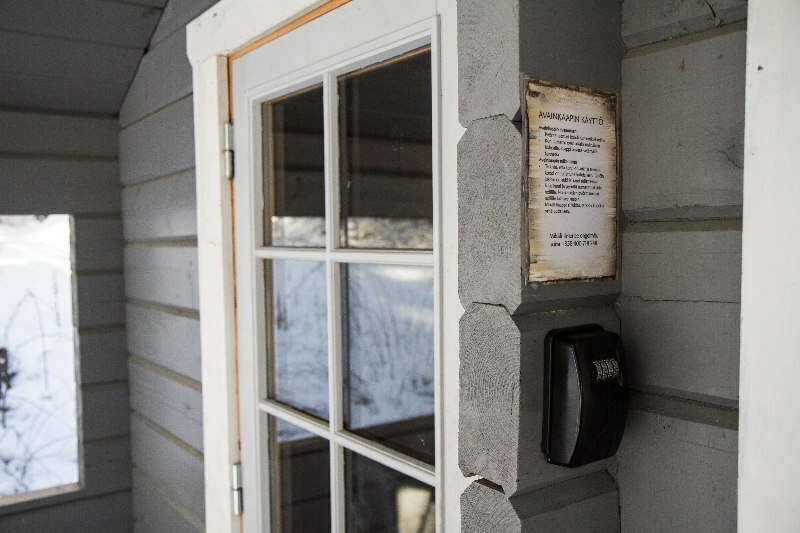 Do not go to the cabin before your reservation starts. You will get instructions about the keys in the booking confirmation email. The keys are in a keybox at the cabin. You will get the locker PIN number in a text message two hours before your reservation starts. 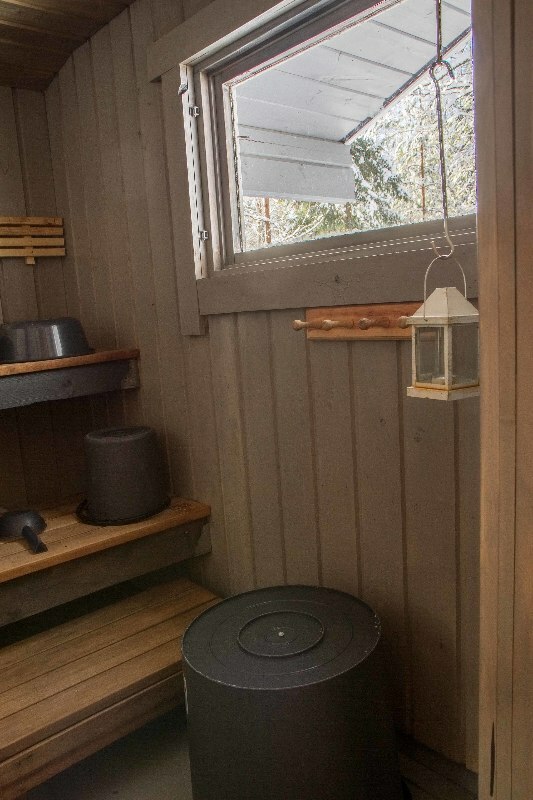 The Kuutinkämppä cabin follows the litter-free hiking guideline. You can put bio waste into the dry toilet and burn any burnable materials (do not burn packages with aluminium and other metals). Don’t leave anything for the next guest to burn. Everything else you must take with you. Do not leave anything edible at the cabin. Housebroken dogs are allowed in the Kuutinkämppä. The owner is responsible for the covering of the beds and blankets if the dog likes to sleep in bed. Please make sure to clean away any dog hairs from the rugs and the rooms upon departure. 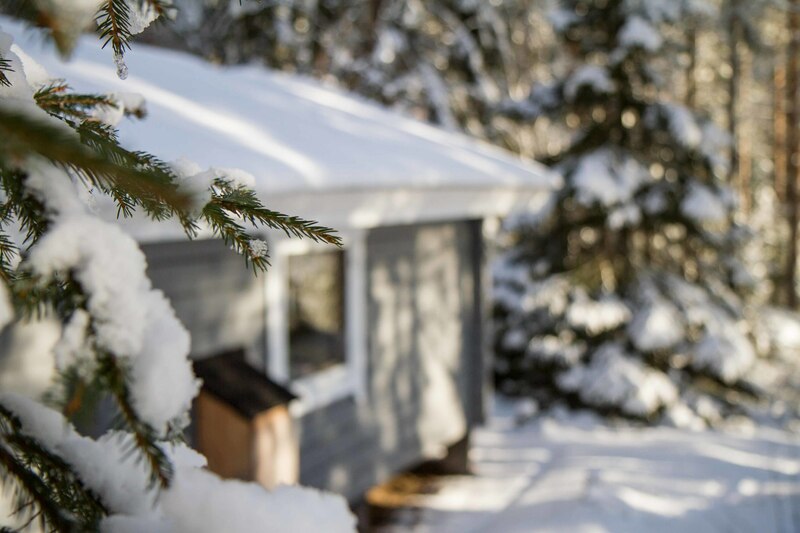 If dogs relieve themselves in the yard, the waste must be picked up and taken to the forest behind the dry toilet. Please tell us the breed and the size of the dog when making your reservation. Please read the “Pets” section from our Terms and Conditions before making a booking. The person making the reservations is fully responsible for the cabin and his/her friends. Please read the terms and conditions before making any reservations. P.S. 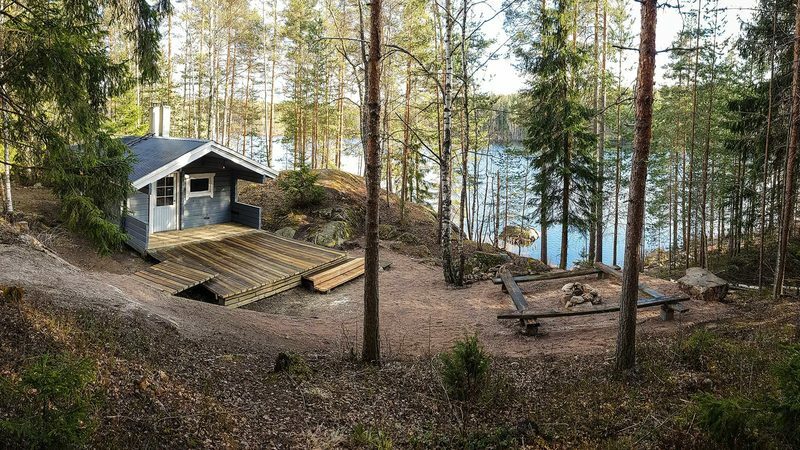 If there is no availability on Kuutinkämppä, please see Saarijärvi Forestry Hut. Next to the cottage there is the Mustalamminvuori hill with a sightseeing tower on top. One of the most popular climbing cliffs in Repovesi, Olhava, is about 1km from the cottage. There is an old but renovated floating flume at Kuutinkanava, 1.5km away. There is a self-service kayaking base at Kuutinkämppä, where you can rent canoes. It is not allowed to drive to Kuutinkämppä with any motor vehicle. A water taxi can take you there. Northern entrance to Repovesi National Park.